The ACLU of North Carolina has forced a House Representative’s hand in a battle over public records. 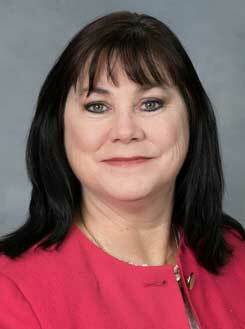 Rep. Beverly Boswell (R-Beaufort) “decided to” release her unredacted emails after Kitty Hawk resident filed a lawsuit. She had initially refused to release anything, then later released documents concealing the identity of everyone her office communicated with. The full release comes more than a year after one of her constituents, Craig Merrill, first asked for public records of phone and email correspondence between her office and the residents and businesses she represents in North Carolina House District 6, which includes parts of Beaufort, Dare, Hyde, and Washington counties. The ACLU filed the public records lawsuit on behalf of Merrill in January. In a letter addressed to Brook about the records release, the special deputy attorney general who represents Boswell, Olga Vysotskaya de Brito, said the lawmaker “made a decision to disclose the in-redacted set of documents” Merril requested. “In our view, today’s production of documents resolved the pending controversy,” the letter states. They also filed a motion to dismiss the lawsuit. The motion essentially states the case is moot and should be dismissed for lack of subject matter jurisdiction. In a motion for summary judgment filed last month, the ACLU said that there was no legal justification for Boswell to conceal who she and her office were corresponding with on matters related to her work as a public official on issues including the Outer Banks plastic bag ban. Brook said Wednesday that Boswell provided the unredacted records after they filed a motion for summary judgment arguing that Merrill was legally entitled to know who she was corresponding with on matters of public interest. So what’s in the Boswell emails?